Experts in the wedding industry tell us that December is one of the busiest months for engagements over the Christmas holidays, thus prompting the bridal show frenzy that begins in early January and continues through the spring, and begins again in early fall. Having participated in hundreds of bridal shows as a vendor, and attending several shows with my son and his fiancé while planning their wedding, these are a few tips I have learned along the way that will help you survive attending bridal shows in your local market. Watch for local advertising on the radio, local newspaper or wedding vendors to learn about upcoming bridal shows, check the bridal show website to see if there are any show ticket discounts for purchasing your tickets in advance, also purchasing your tickets in advance sometimes also will pre-register you for prizes. Before you go I would suggest that you come up with a unique wedding email such as jonesandsmithwedding@gmail.com and then print sheets of return address labels-this will save you serious time not having to print your name, address and phone number for each booth you visit as most of them will have a giveaway of some sort. f possible, take a friend or two with you to help you carry all the collateral you will pickup along the way from the vendors, bridal shows can be loud and busy so having another set of eyes and ears will help you to recall what vendors you were really drawn to. Most bridal shows do give you a bag with registration, but I would suggest you take a large, strong bag with you to carry everything in. Have a plan and think about your top priorities for vendors– Is your priority finding the perfect wedding dress, venue, wedding cake or Honeymoon ? 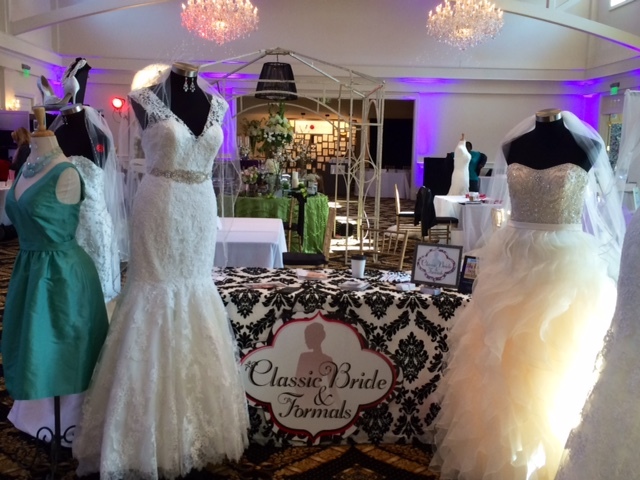 When you first arrive to the bridal show and check in, you will be given a list of vendors – take the time to find the location of your top priority vendors, visit them first before they give away their information or their booth gets crowded and you will not be able to have quality conversations. Perfect Wedding Guide Wedding Show on March 3rd, 2019 from 12p-4p at the Gaylord Opryland Event Center – I would love to talk with you about planning your Destination Wedding or Honeymoon. Not finding any local bridal shows in your area or a vendor that you are connecting with, I have clients from around the world and would love the opportunity to assist you.